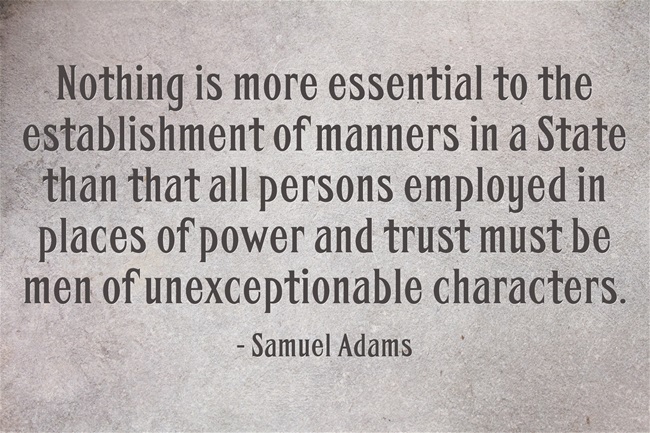 This quote from Samuel Adams on character couldn’t be more relevant today. The corrupt in Washington have left little to no trust. Broken promises and empty hope are all many are left with. If only people would set themselves aside and work for the common good.